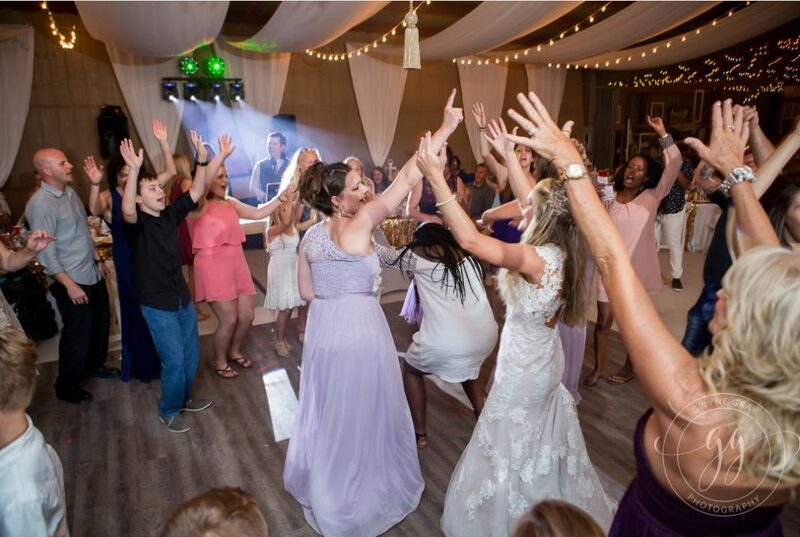 Weddings Archives - B-Boy Productions, Inc.
July 24, 2018	by B-Boy Productions, Inc.
We’ve got a Miramar Beach Wedding Venue option for you – the Embassy Suites! 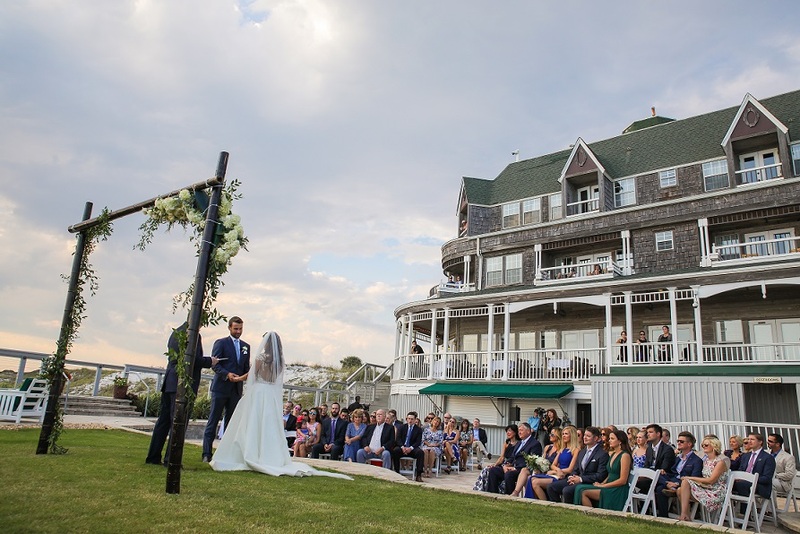 In our opinion, this is one of the area’s more underrated wedding properties. A few years ago, they did an amazing updated renovation to the property. However, because it’s a bit off (literally a block away) of highway 98, it’s easy to miss. Their event staff (Jillian and and Brandee) are easy going and committed to tailor your event to the vision you have in mind. 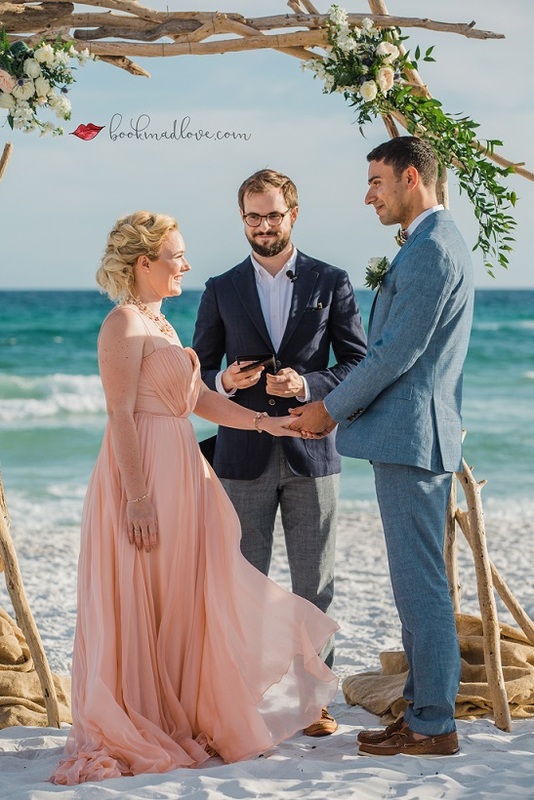 BEACH CEREMONIES…Interested in a beach ceremony? No problem! They have a gate entrance to the right of the property – easy to access and one of the best gulf views bar none. More importantly, it feels like a private beach just for you and your guests! THE ATRIUM…We believe this is the crown jewel of the property. 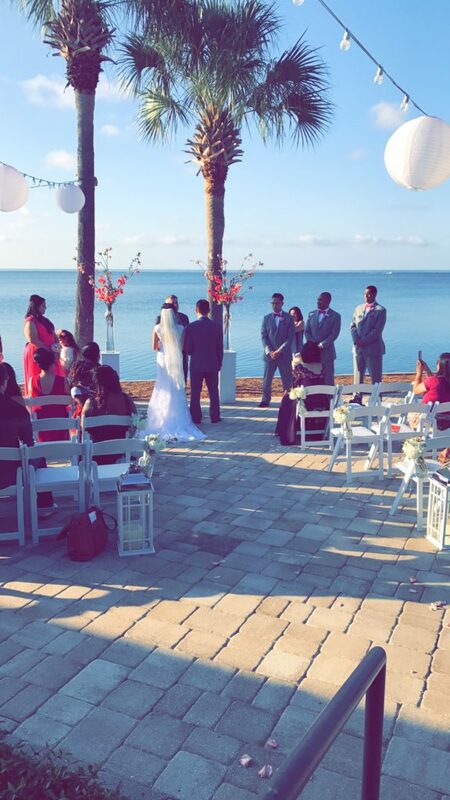 Not only can this location act as a rain back-up for your beach ceremony (or as a non-beach ceremony space), but it could be a perfect transition spot for a cocktail hour to give it a “3 location feel” all in one venue. The modern aesthetic is a refreshing take at a hotel property. 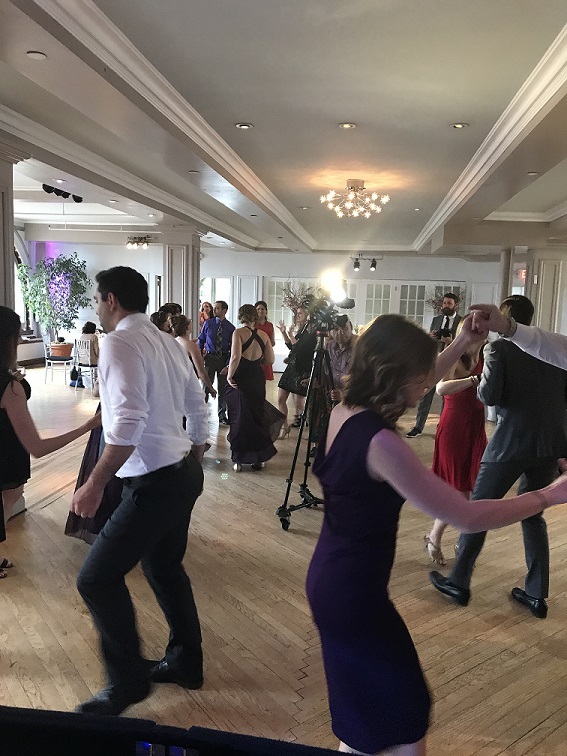 THE BALLROOM IS INTIMATE…One of the biggest errors couples can make is to pick a venue where the space is too large for the attendance number. This happens more than you know. The beauty of this property is that the ballroom can be adjusted with airwalls to fit your guest count in an intimate setting. Whether you guest count is 30 or 400, the Embassy Suites has you covered. ON-SITE ROOMS TO GET READY…Need a spot to get ready or freshen up after the ceremony that is not your hotel room? The Embassy Suites has thought of that as well. They have 2 conference rooms that are outfitted with TVs (hello college football fans) so the wedding party can relax up to minutes before the formalities begin! These are just some of the many features of the Embassy Suites Miramar Beach. 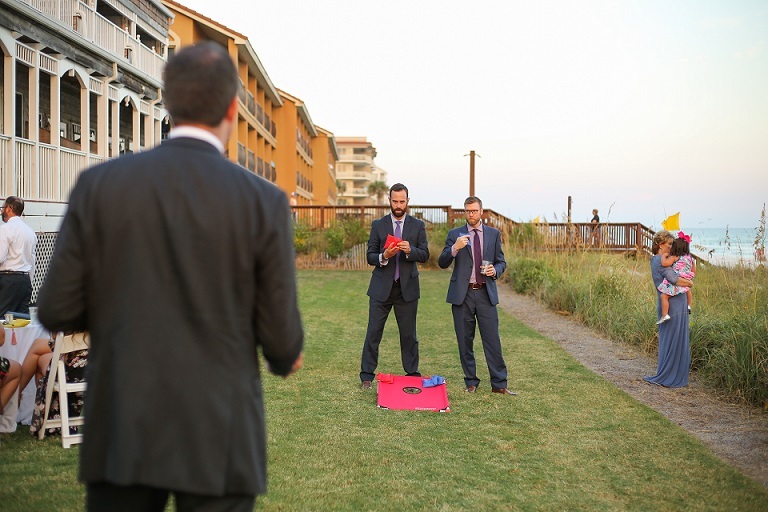 Before deciding on your venue location, be sure to give this a look over. We know you will be pleasantly surprised! See our venue tour video below. February 14, 2018	by B-Boy Productions, Inc. 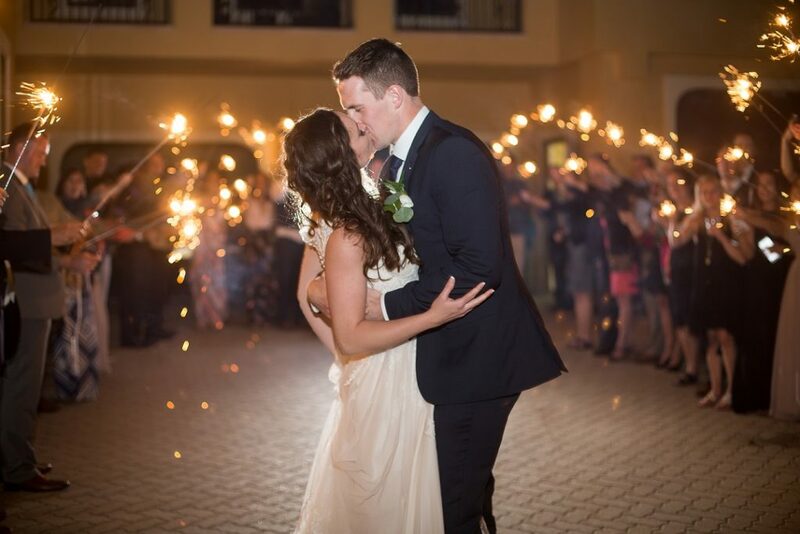 Wedding DJ, Sheawna, kicked off her 2018 wedding event schedule with a military wedding at Soundside at Hurlburt Air Force Base. One of our hallmarks is being early and soundchecking all gear and special formality dance tracks. 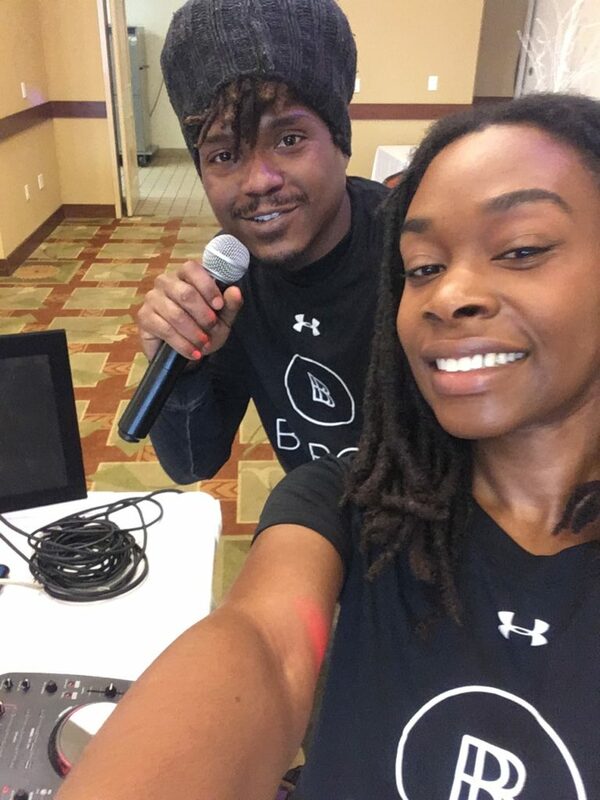 So when our Florida GM, Shawn Frady, texted Sheawna at 1PM to find out what time she was planning on being there for a 4PM start time, she sent him this picture of her and the DJ tech, JiJuan, already there setting up. Man, do we have a great team. 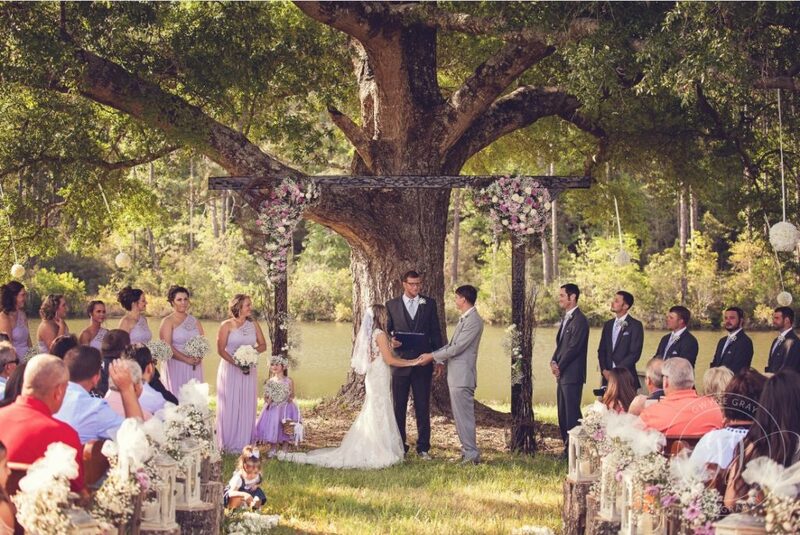 The ceremony was held outside of the venue under a tree with a beautiful view of the sound. 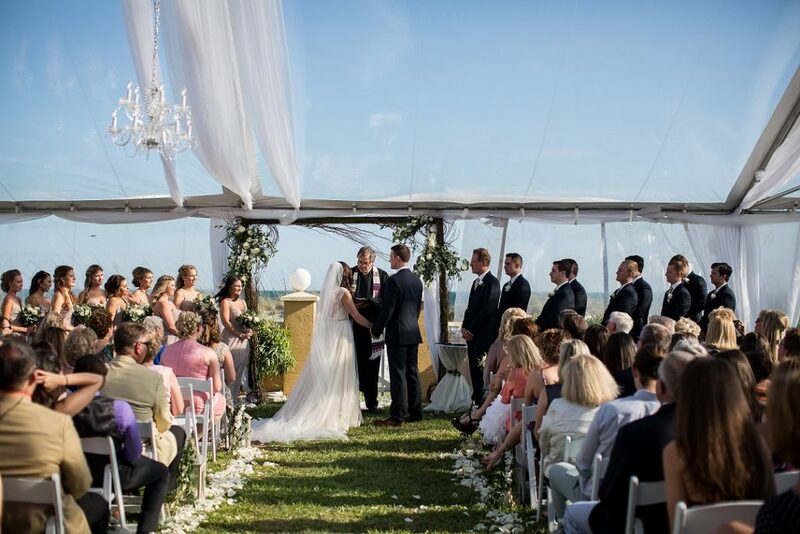 The bride was British and she had guests fly in from Europe to attend their celebration. She wore a beaded gown and the bridesmaids were in maroon dresses. The groom was local to the area and many of the guests were from the local church he attends. The accent colors inside the reception room were maroon, rose gold and pearl. This was a dry wedding, which is a rarity for us. 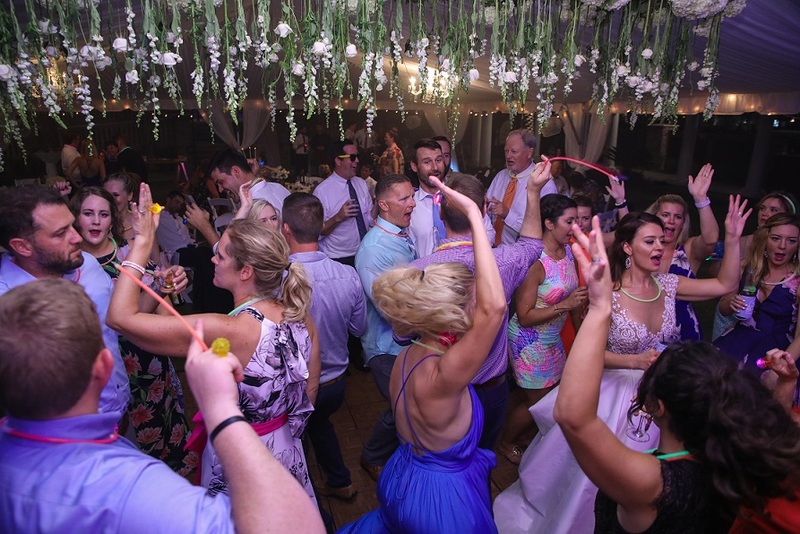 What I love about our team of DJs is that they are trained for all sorts of situations (including a dry wedding). It didn’t take long before Sheawna had them on the floor and a good party was had by all. As you can imagine, the songs of the night were interactive line dances – “The Wobble” and “Cha Cha Slide”. Here’s a quick video of Sheawna rocking the dance floor. 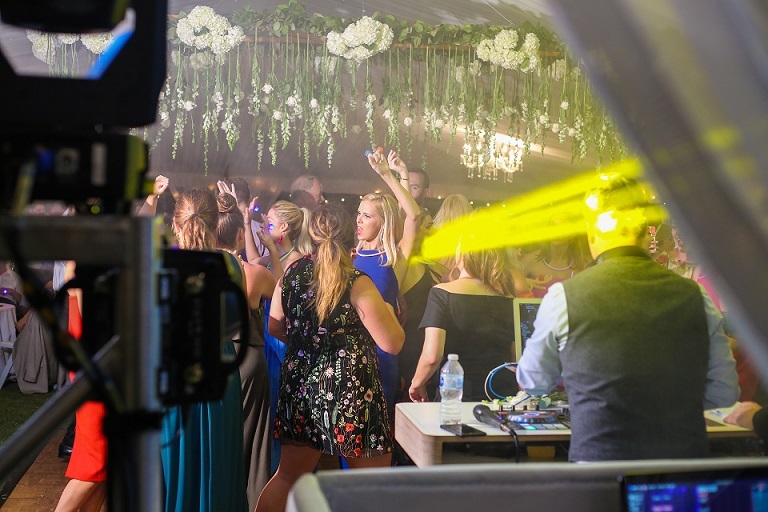 August 9, 2017	by B-Boy Productions, Inc.
Niki and Martin’s Destin wedding was by far my (DJ Josh Weck) favorite wedding to DJ this year! It didn’t hurt that it took place at my favorite beach house venue, the Palazzo Del Sol, located in Destin, FL. 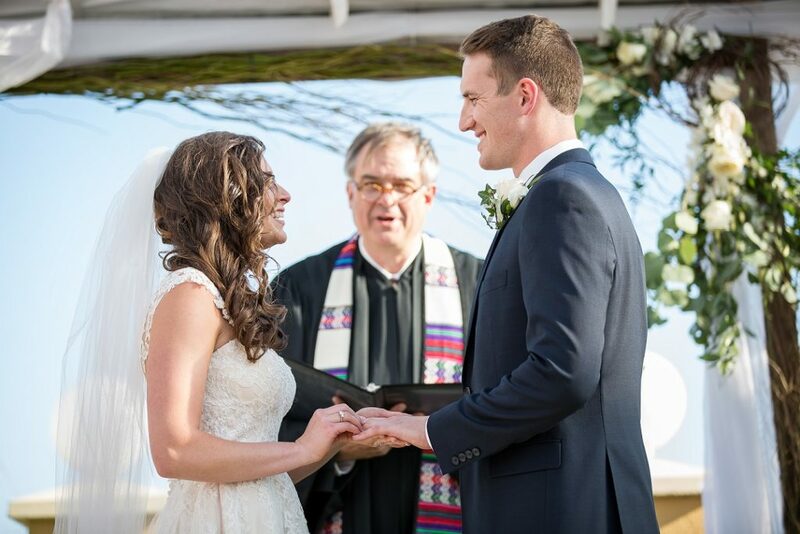 The wedding ceremony was held underneath a tent in the backyard, which was fortunate because it was a rather windy day. The musical accompaniment was a violin, played by a friend of the family, Carol. 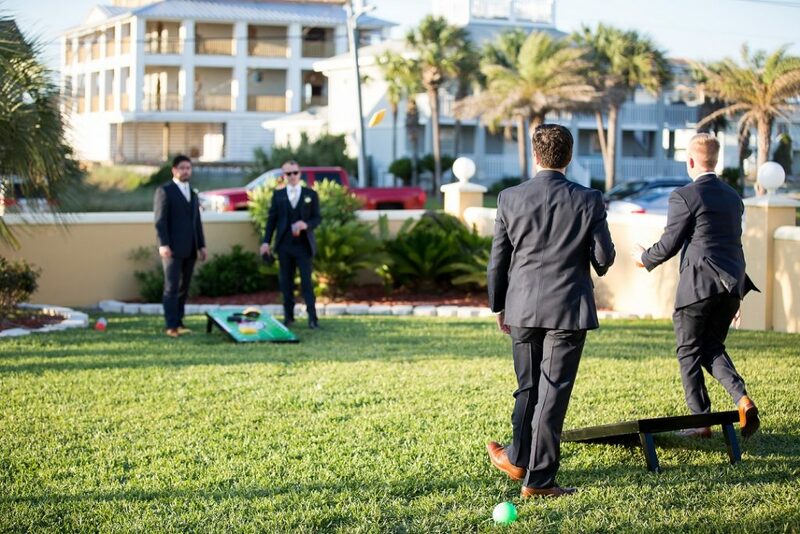 Once the ceremony ended, the guests transitioned to the front of Palazzo del Sol for lawn games and drinks. 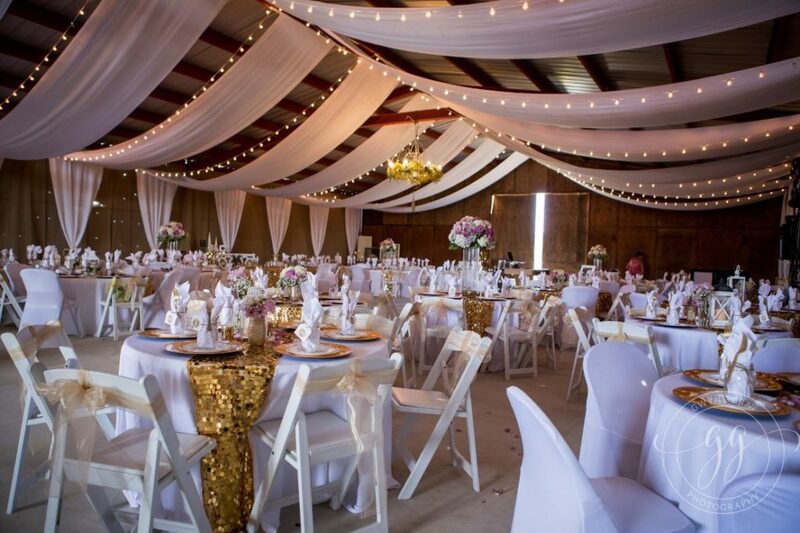 The staff hastily flipped what was the ceremony space and turned it into where the reception was held. My favorite part of a wedding reception is the toasts. 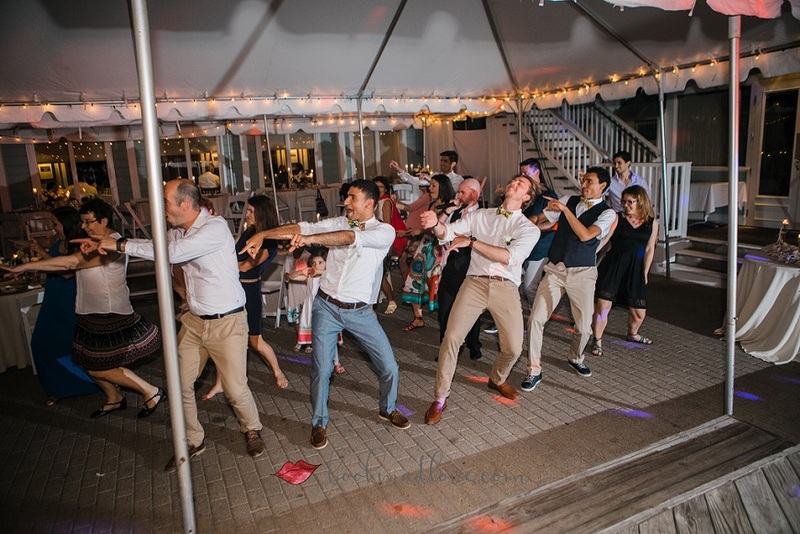 This particular event, the groom bestowed the honor of best man on his father, which could leave him in a precarious position considering his father’s undoubted treasure trove of embarrassing stories. But, as most toasts end up, it was very heartfelt, very touching, and full of love: the recipe that makes up a great toast. Now that those formalities were taken care of, it was time to dance! Niki had very specific songs for both of the dance sets. Usually, I get a bit nervous when the night is overly formatted. But, the songs she picked were GREAT selections and the guests loved them as well. The night was truly Niki and Martin’s. The dance floor filled immediately for the Anniversary Countdown and stayed packed the entire time there was open dancing. Here’s to the Geil’s! May they enjoy many happy years together. May 24, 2017	by B-Boy Productions, Inc. So when you hear “wedding at Manhattan penthouse” most people think of a private residence. 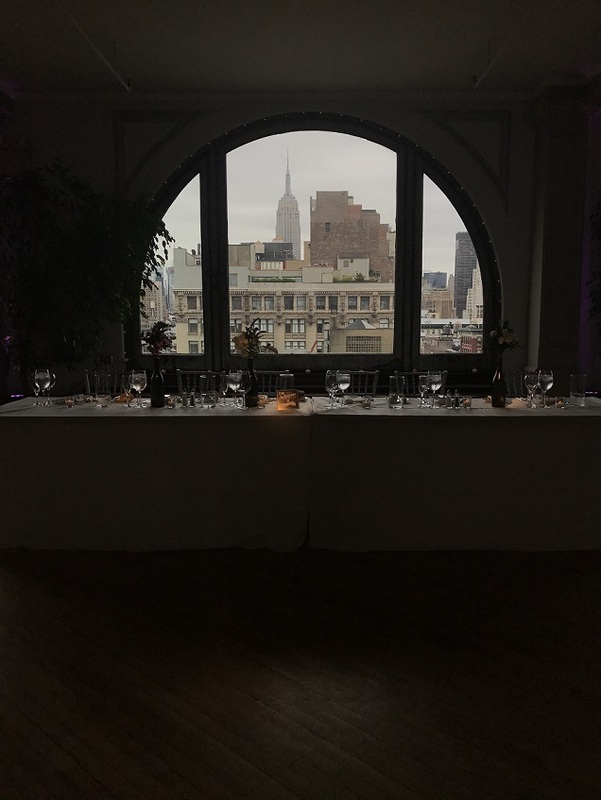 Though we’ve done those type before, the Manhattan Penthouse on Fifth Avenue is an actual event space in the heart of Union Square at 5th Avenue and 14th Street. It’s on the 17th floor and has one of the best views in the area. 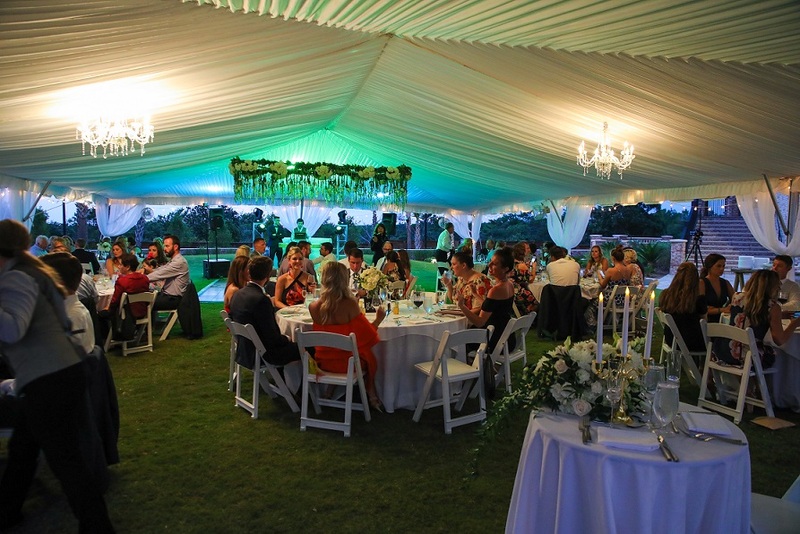 The space itself is very modular and is perfect for the entire wedding – ceremony, cocktail hour and reception. They do a “flip” of the ceremony/reception space while guests are ushered to a separate room on the same floor for cocktail hour. The cocktail hour room is great because it has an in-house sound system built in. The staff at the venue are some of the best in the business. Monica and Glenn do so such a fantastic job of taking care of their clients. Kristen’s family is from Wisconsin and she works in fashion. Doug’s family is from Irvine, CA and he works in the culinary industry. They both met in NYC. Their wedding was an intimate affair with a guest count of about 50 people. 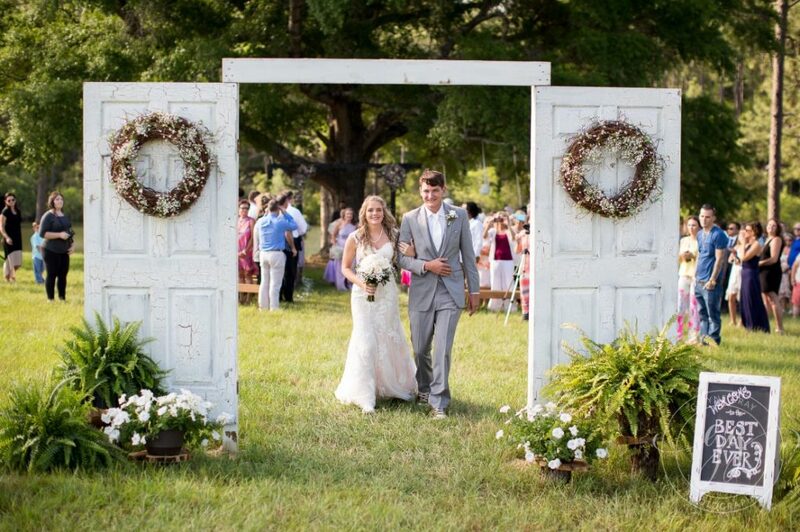 Though we had a Grand Entrance planned, Doug came up to me and decided to call an audible and make it a little more relaxed and organic so we struck the Grand Entrance all together. This was a great call by him and I’m so glad we did it that way. The venue did the catering and it was so good! During dinner, I keyed in on the bride’s suggestion of playing some Radiohead (specifically from the In Rainbows album). This was a surprise to Doug and he was so moved by hearing one of his favorite albums. 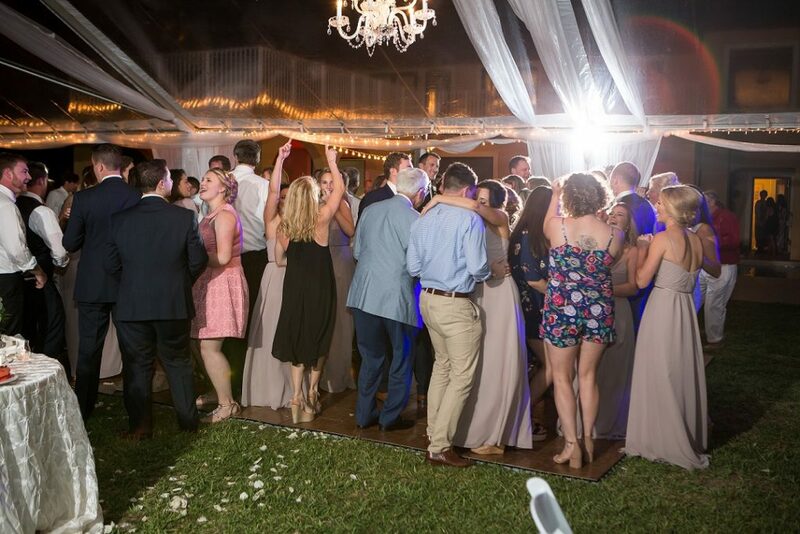 Once the dance floor opened, it took a bit to get everyone out there (which tends to happen with small guest counts). That said, once they all had a little liquid courage in them, the dance floor was packed the rest of the night. 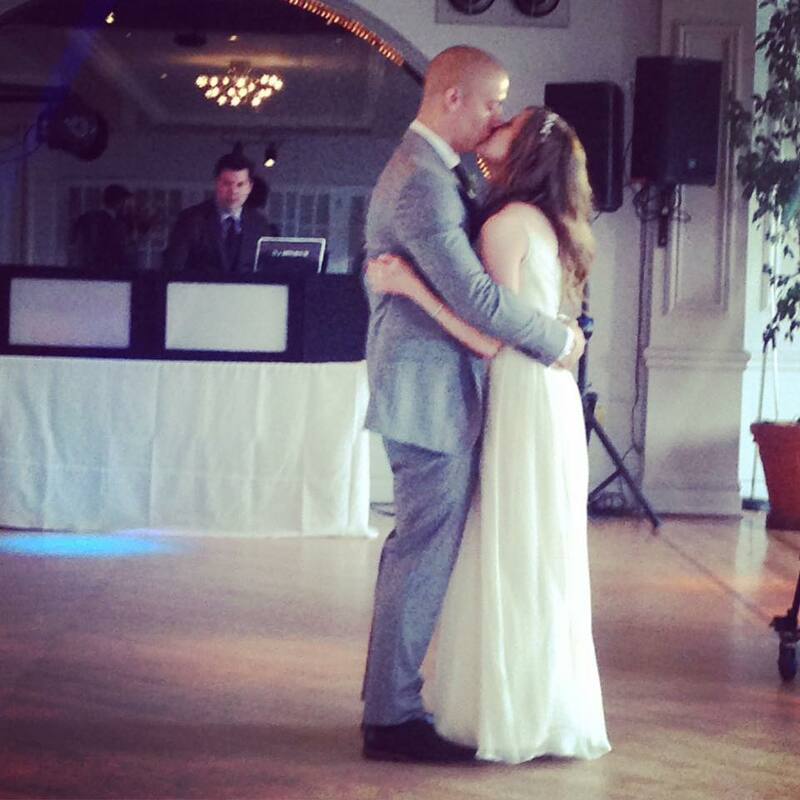 We wish the newlyweds nothing but many years of marital bliss. 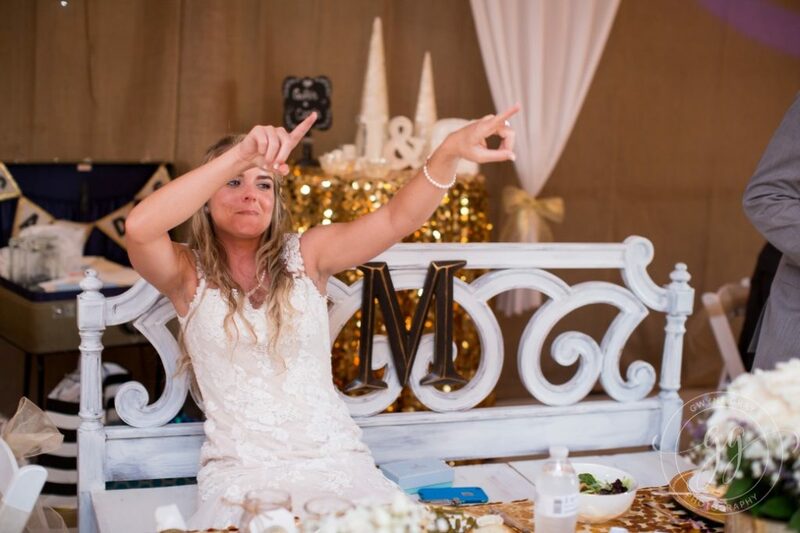 May 8, 2017	by B-Boy Productions, Inc.
As wedding DJs, part of our planning process is asking our clients for song requests for their reception. As you can imagine, we see a lot of the same requested tunes. We also get some new tunes that will catch our attention. 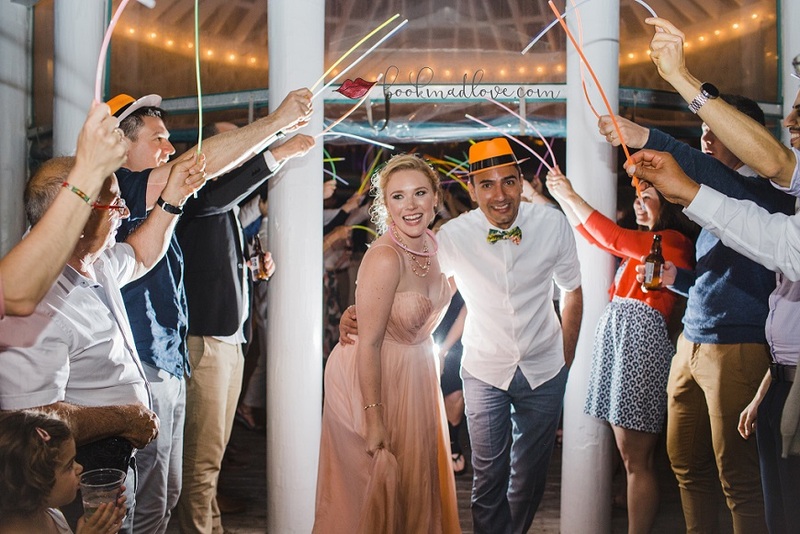 Every now and then, however, a title or two will be on the list that will have us ponder if it really is appropriate for a wedding (even if the song has a good groove). 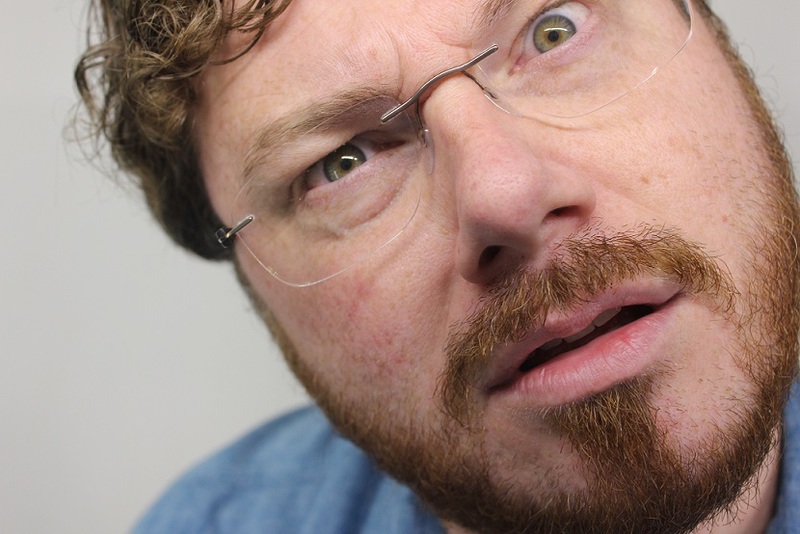 With that, we present to you a sampling of actual client song requests we’ve been given – “Inappropriate Wedding Songs That make you Go Hmm” (in no particular order). These are some doozies, no? If nothing else, we hope it brings a bit of humor to your Monday. What would you add to this list? I know there are some good ones we haven’t listed. Let us know. 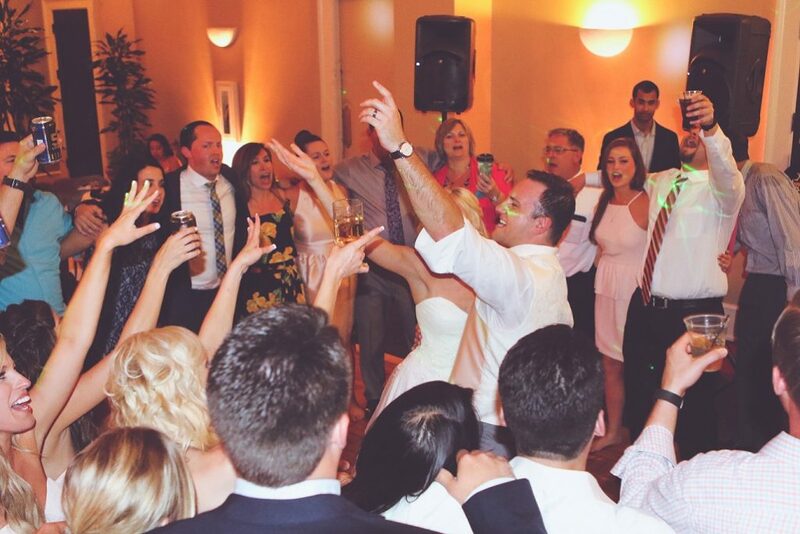 Want our DJs to give you our feedback on some of your reception song ideas? Contact us with your song titles and we’ll let you know if you’re safe or not. It could make our next blog post – ha! 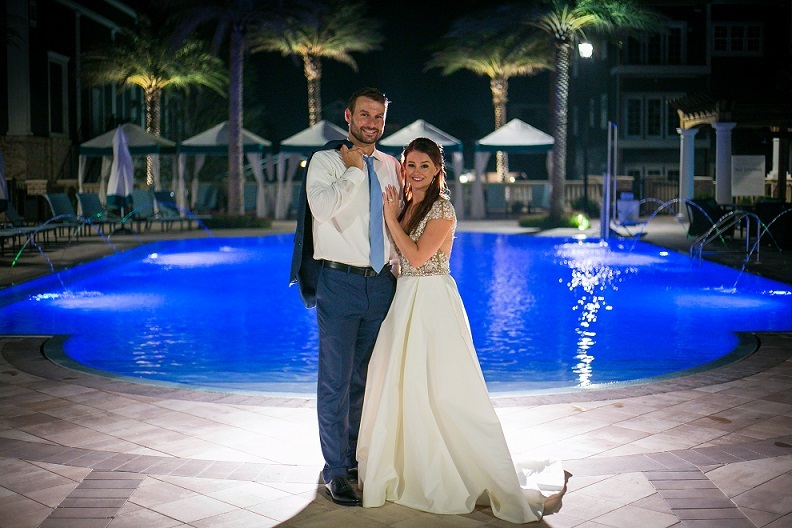 May 1, 2017	by B-Boy Productions, Inc.
Brenna and Alexis’ (his name is French, pronounced Alex-see) wedding at Bud and Alley’s, Seaside, FL was an absolute blast and couldn’t have happened on a more perfect Spring day! With both families coming from Alabama and France, there was an awesome mix of cultural heritage and style. One of the most memorable moments was when one of Brenna’s friends, Mary-Claire, gave a special acapella vocal performance. She is a trained opera singer which was a wonderful touch to the already elegant evening. After the sun went down, the party turned up, and the crowd danced until the witching hour! Depending on how my creative planning appointment goes with my clients, I may suggest a somewhat unique ending to the night instead of just playing a last dance song. Brenna and Alexis loved it when I pitched them the idea. 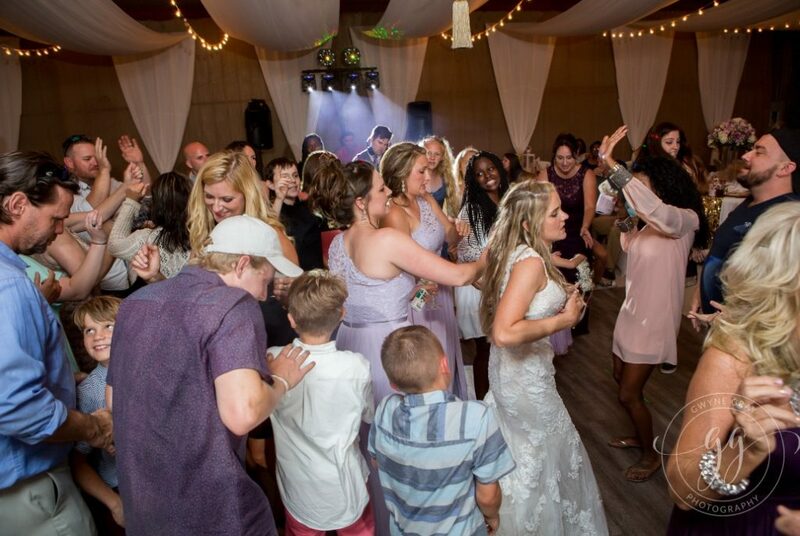 Here’s how it went down: I put the bride and groom at the center of the dance floor and had the wedding party, family and friends form a circle around them. I always look to include guests that have not been on the floor all night, assuring them I’m not going to make them do anything embarrassing or cheesy. 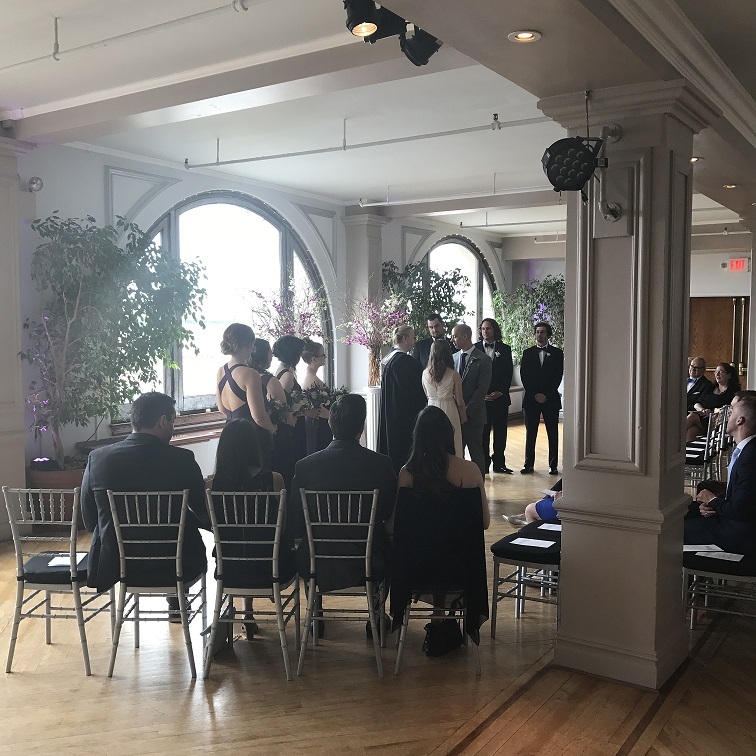 I told everyone to look to their left, then look to their right, and explained that today there are two families becoming one (which is why we were in one circle with the bride and groom in the center). I asked everybody to link hands, arms, shoulders, whatever. I then asked them two questions: If you could say anything to the bride and groom right now, would you tell them that you love them? (Yes!) Would you tell them you are excited for them to take the first steps of the rest of their lives together? (Yes!) By that time, I had already maneuvered myself back behind the decks and said, “Well, if those answers are true, I am willing to bet that there is one other thing you’d like to tell them,” and I immediately hit play on “Don’t Stop Believin’” by Journey. The crowd always goes nuts when that happens (and this crowd was no exception). I asked them to sing along. 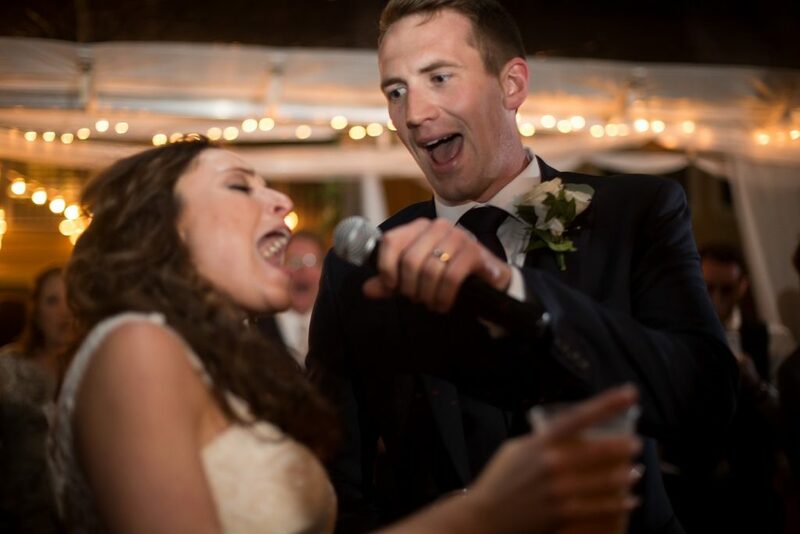 When the end of the song came up, right before “Don’t stop believing / hold on to that feeling,” I prompted everyone that I wanted a big finale, that I wanted everyone to hear them back home where they came from singing, then prompted a cheer for the bride and groom at the end. For this crowd, it was a perfect way to end the night. 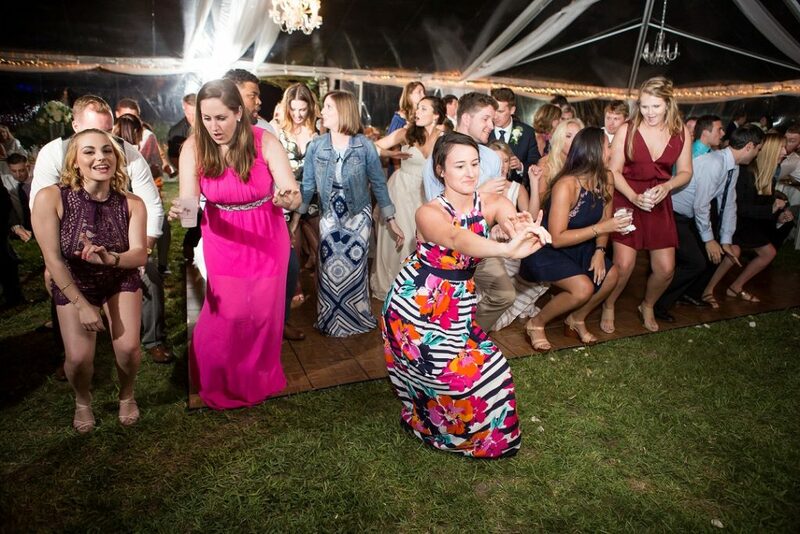 April 27, 2017	by B-Boy Productions, Inc.
We Love Providing Sandestin Golf and Beach Resort Wedding Entertainment…especially for great couples. 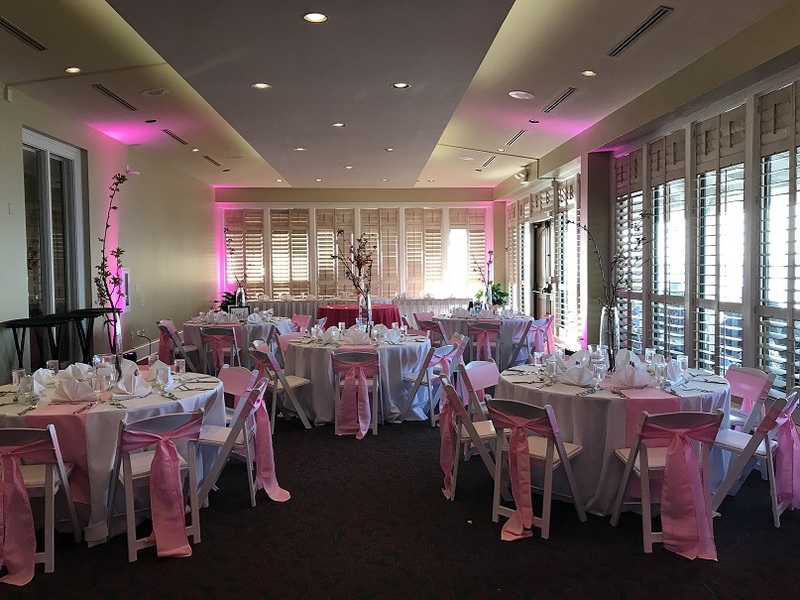 This past weekend we were back at one of our favorite venues for a Spring Wedding – Sandestin Golf & Beach Resort for Cindy and Chris’ wedding. 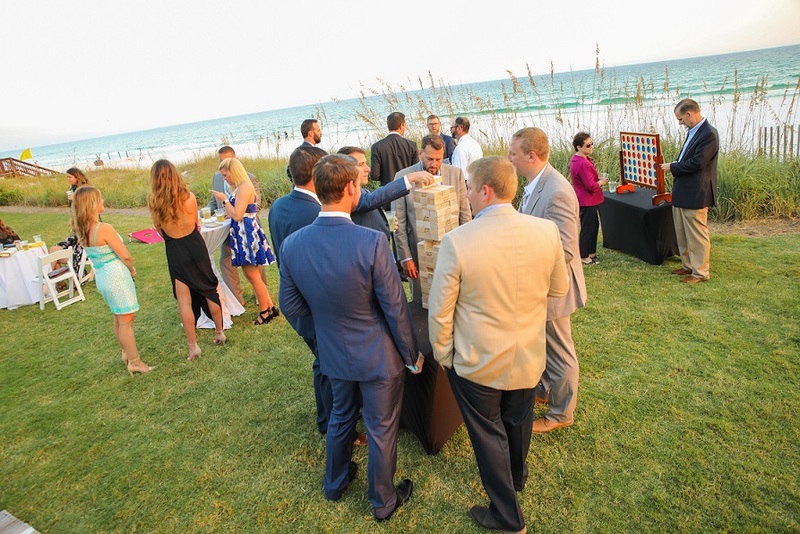 When you’re providing Sandestin Golf and Beach Resort Wedding entertainment and handling the activities for such a great couple, you want to be sure everything is top notch. I (Brian B) feel like I have known Cindy forever. We probably chatted at least once a month from the time she booked with us up until the wedding day. I love those types of clients. They actually were already married (Chris is in the military) so this celebration was for family and friends. Cindy had the complete B-Boy experience. Beyond what Sandestin provides, we covered everything else except for floral and photography. You can’t put a price on having our entire team there. The chemistry with our crew working together is umatched. 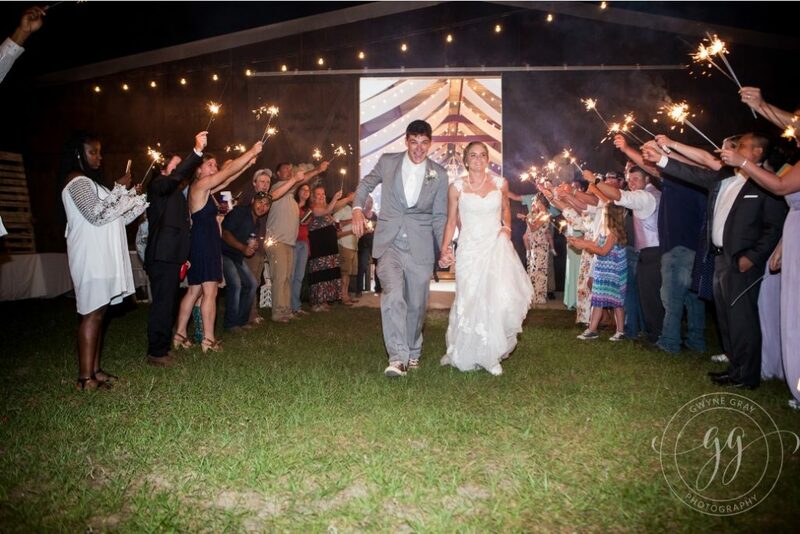 When we started the planning process, the collaboration with Cindy and Chris was effortless. 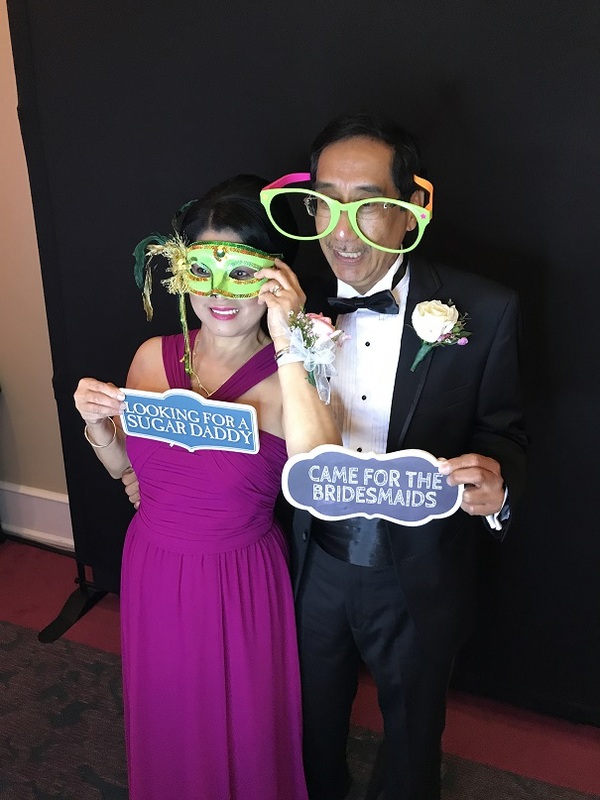 They wanted to do as many unique things that we could come up with so we did a LOT of them – from bride and groom trivia, to the anniversary countdown, to the garter switch to a celebrity sighting and grand exit!